Modem Can Not Be Slow, Speed is Slow! Common Users Express Anger With That Typical Phrase! There Can Be Reasons Behind a Slower Connection. A Modem is related to Computer Networking and Internet Protocols. Behind your slow Reliance 3G modem i.e. slow connection speed, there can other reasons than Reliance as Internet Service Provider. For Linux, specially Ubuntu and OS X (we have guide to install and use Reliance 3G Modem on OS X Mavericks and above) there should not be much difficulty in troubleshooting a connection. From Terminal, if we run top command, we can see the free RAM, what process and daemons are running. We can kill a daemon for troubleshooting. You can try to give the installation files a wider reading (and writing) permission by changing the chmod value. For sure, Bill Gates will fail to fix a slow 3G Modem on Microsoft Windows in one shot. There are many known and unknown factors for Microsoft Windows which can force the applications, drivers related with the modem. What other programs you are running on your computer can determine the problem. There can be a network conflict. If there are 2 or more networks on one PC, the computer may have trouble identifying the priority. Try uninstalling and reinstalling them to check if that rectifies the issue. It is mandatory to check your PC with anti-virus and anti-malware software on safe mode. Also the anti-virus software’s permissions settings should be checked. The kernel of Microsoft Windows NT is OpenVMS. If the same SIM card is giving lightening speed on other computer or computing device at the same place, there is definite issue. Else, you have some other problems. First, the available effective connection speed can not be the same at all places even within an area within a bigger city. Overall, Reliance gives a good dependable speed. Secondly, what we have seen; 3G plans gives better speed versus combined packs. You should check Reliance’s 3G Mobile Broadband Plans on their official website for their plans. We have nothing to with Reliance, but it appears that they give priority depending on the plans. Otherwise we can not use SSH from higher altitude on Himachal Pradesh. 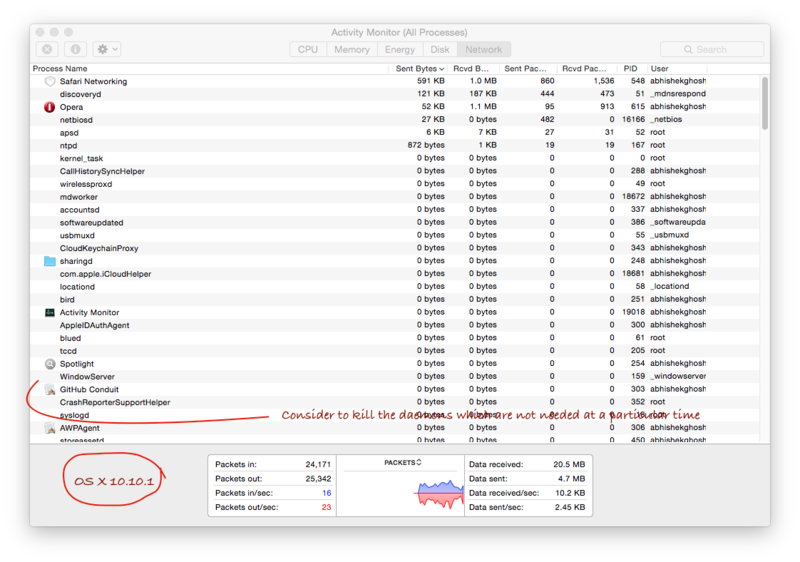 Thirdly, there should be enough free resources (RAM, CPU etc.) on the computer. It is very difficult and complicated process to get connected on a Network. The connection is not only for using a Browser. Internet is not exactly a consumer grade product. If you can not configure yourself, you must hire / take service of a computer expert to fix your issue. Fourthly, the speed depends on the 3G Modem’s chipset. Most commonly we use ZTE MF 190 white modem. That gives 7.2 Mbps speed, which is more than enough for normal works. That model (rather all the 3G Modems) has the problem of getting overheated at the USB socket’s connection point with a computer. If it get overheated, you should use the provided cable. Fifthly, 3G Modem and Plans actually includes the fallback to EDGE. You must not enable only 3G to connect. Sixthly, if there is option to add the APN yourself, you must check it with the official documents. Seventhly, 3G modem antenna clip can stable the speed. Eighthly, Reliance has excellent customer care. Instead of complaining here and there directly email to the officials after initial steps are checked. You will get the links on official website. Ninthly, using a different DNS Server like Google Free DNS can increase the speed of opening webpages. However a Public DNS is not recommended for the advanced users. We have multiple 3G Dongles which uses Reliance’s 30GB and 15GB plans. It is not that, we do not face issues. Reliance (or any Indian ISPs) can not fix the issues with Internet Exchange Point. All Indian ISPs are forced to use India’s Internet Exchange Point. India’s Internet Exchange Point is only NIXI. This Article Has Been Shared 235 Times! URI and URL are often interchangeably used. However, technically there are some differences between Uniform resource locator and Uniform Resource Identifier. Linux Commands and UNIX Commands for Server are very useful for Administration and Management of Web Server. We have compiled the list from various Text Books. Why Use Google Adwords ? The simple answer is, for any return you need to invest. How you will invest, what is the expected ROI these should be calculated too. HostGator, if Get Chance, Can Ask You To Send HostGator Credit Card and Passport Scan For Verification. Do these With Own Risk of Data Theft. Cite this article as: Abhishek Ghosh, "Slow Reliance 3G Modem Fix," in The Customize Windows, March 31, 2015, April 21, 2019, https://thecustomizewindows.com/2015/03/slow-reliance-3g-modem-fix/.